The terms Autism and Asperger Syndrome have become well known thanks to increased media exposure in recent years. Both of these disorders are part of the group of disabilities known as Autism Spectrum Disorders (ASD). A related disorder is Pervasive Developmental Disorder (PDD). Austism Spectrum Disorders affect a person’s communication, social skills and behaviour. A child with ASD often has particular sensory needs (eg reactions to certain sounds or touch) and repetitive behaviours (including rocking or flapping). ASD is diagnosed by a team made up of a paediatrician, speech pathologist, psychologist and occupational therapist. Autism assessment teams can be found at Child Development Units (located in Women’s and Children’s Hospital, Lyell McEwan Hospital and Flinders Mecial Centre) and Autism SA. Liberty Speech Pathology can provide therapy for children with ASD who range from low to high functioning autism, Asperger Syndrome or PDD. ASD varies greatly from one child to another. Each individual has a set of strengths and weaknesses and their own unique personality. 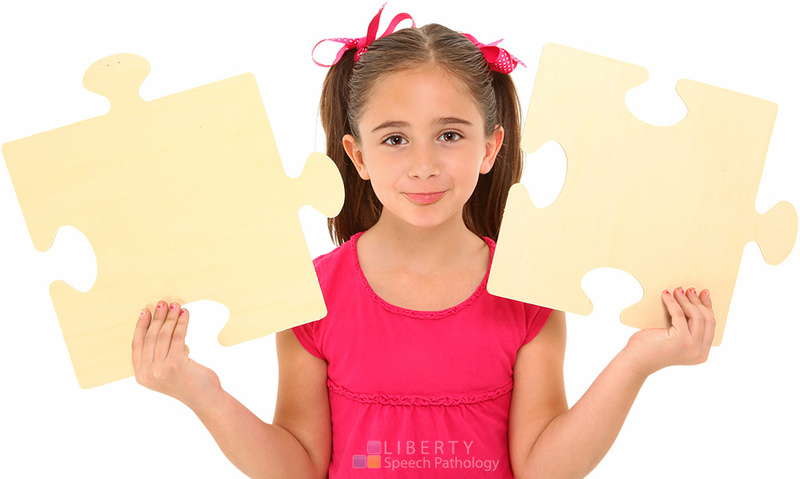 At Liberty Speech Pathology, therapy programs are tailored to your child’s individual needs. Individual therapy programs aim to improve each child’s understanding of language, use of language (including spoken words, signing or using pictures to communicate) and social skills. Liberty Speech Pathology is eligible to provide services to children under the Government Department of Families, Housing, Community Services and Indigenous Affairs (FaHCSIA) Helping Children with Autism Package. Kupperman, P. (2008). The Source for Intervention in Autism Spectrum Disorders. Illionois: Linguisystems, Inc.